Whether they’re “helping” us cook, learning to become future Divinci’s, or just having a good time getting their hands in whatever they can at the moment, one thing’s for sure. Kids get dirty. 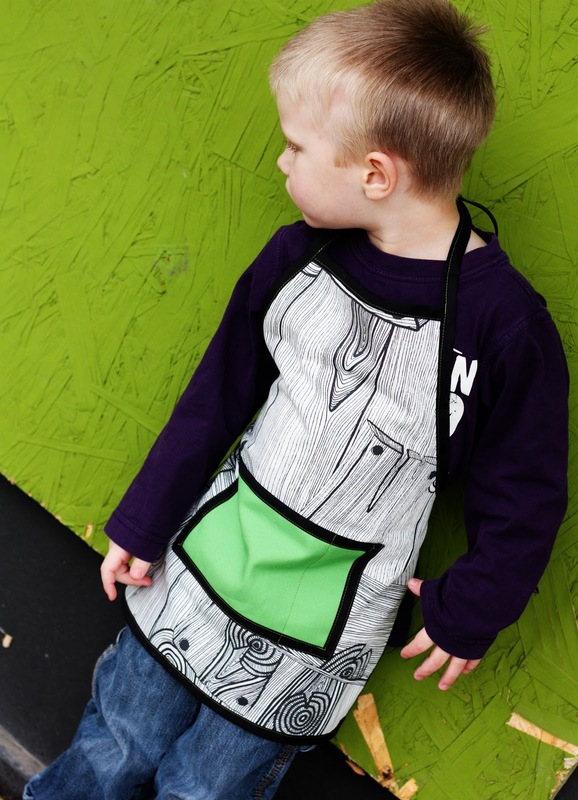 As I made this apron recently, I was really surprised at the lack of free toddler and child apron patterns that are available online. 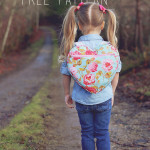 Off to work I went, and I’m so excited to share The Little Apron Free Pattern with you! 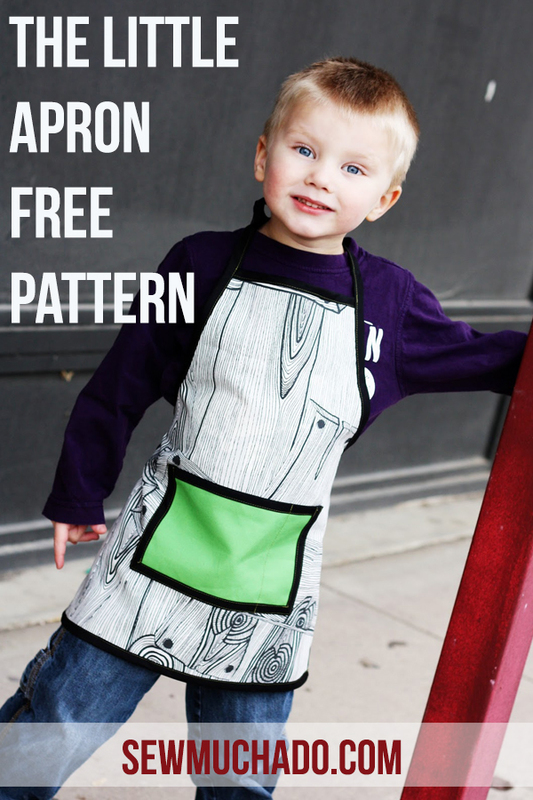 You and your kids will love this free kids apron pattern! The Little Apron is a simple and easy project that can easily completed in less than an hour. 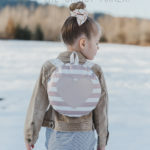 The pattern is sized for toddler/child 3-7, but can be easily adjusted for smaller or larger sizes. Please remember this pattern is for personal use only. Note: When sewing with bias tape, keep in mind that one side is folded narrower than the other. Always sew with the narrow side on top, ensuring that the bottom folded side (the wider side) will be caught by the stitches. It is also important to ensure that the fabric is sandwiched into the fold of the bias tape as snugly as possible. 1. Sandwich 7″ length of bias tape around top of apron. Stitch bias tape to apron close to folded edge. Trim any excess bias tape (you will usually be left with a bit of extra bias tape to trim off since it stretches as you sew). 2. Sandwich 37″ length of bias tape around one straight side of apron (leaving curved edges). Begin topstitching, and stop when you reach the first corner (which will be the bottom corner of apron). To make a nice mitered corner, lift the presser foot and remove the fabric, trimming the threads (second mitered corner is pictured in the next few steps). 3. Open the bias tape up and bring back down toward next side of apron. 4. Allow bias tape to fold in half as it originally was, sandwiching the fabric again between the tape. 5. Pin bias tape in place and begin stitching at diagonal fold. 6. Continue stitching bias tape to fabric along bottom and other straight side of apron, mitering second corner same as the first. 7. Mark 18″ from the end of one 53″ piece of bias tape. At the 18″ mark, begin sandwiching and pinning bias tape around one curved edge of apron, starting at the top of the apron. You will be left with approximately 24″ of bias tape free at the end. 8. Beginning at top free end of bias tape, topstitch close to edge of bias tape. If you’d like, you can turn the raw edge under before beginning your stitches, but since bias tape does not tend to fray, it’s not necessary. Backstitch once or twice when you reach the fabric, and continue sewing, stitching the bias tape to the apron along the curved edge. Backstitch again when you reach the end of the curved edge, and continue stitching to the end of the bias tape. 9. Repeat with other curved side of apron. Although you can pin the bias tape to the fabric the same as you did the first curved side, you will have to begin stitching from the opposite end of the bias tape (that will be the waist tie) instead of the neck tie end. 10. For the pocket, sandwich 8″ length of bias tape around one 8″ side (top) of pocket. Stitch close to edge of bias tape, joining it to the pocket fabric. Trim ends of bias tape if needed. 11. To finish other edges of pocket, sandwich and stitch bias tape to remaining three edges of pocket fabric, mitering corners as you did with the apron body. Tuck the edges under before your beginning and ending stitches. 12. Center pocket on lower half of apron and pin in place. 13. Stitch around sides and bottom of pocket, close to edge, leaving top of pocket unstitched and open. 14. Measure 2″ from edge of pocket on one side. Stitch from top to bottom of pocket, keeping 2″ distance from edge. Now you can both enjoy the messes! 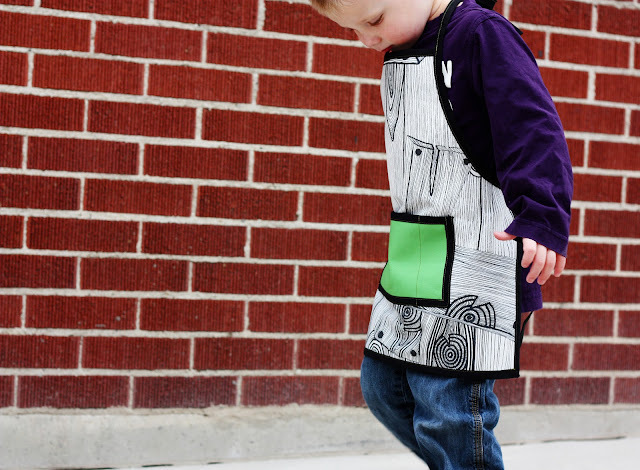 For more apron-sewing fun, check out the Mommy & Mia Apron Pattern! Oh my gosh! I love this! My little boy LOVES helping in the kitchen, so this will be perfect for him. He’s also getting an art easel for Christmas, so I think I’ll be making at least two of these. Thanks for the pattern and tutorial! Love it!! The simple design works well for boys or girls. And that fabric – that fab, FAB fabric!! Thanks for the tutorial, Abby. Wyatt looks thrilled! Great fabric and l like the green block pocket. Super cute (and easy!) Thanks for the free pattern! Thanks. I am in love with that fabric!!!!! The wood grain makes it a great work apron for woodshop with daddy. I love the fabric you chose for that apron! Thanks for the freebie. 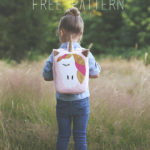 Sometimes I spend way too much time on the internet just looking for free patterns for specific projects! Uhh I am with the other people who have commented…where oh where did you find that fabric???? LOVE IT!!! Thanks ladies! The fabric is from Ikea, I think it’s relatively new there… I’m glad you love it as much as I do :). Such a cute idea! I love little aprons. Like everybody else, I really enjoy the fabric! Oh my gosh! What an adorable little apron and your model is just super cute as well. I LOVE that very last picture of him. LOL TOO CUTE! Thank you for such a great tutorial and pattern. Wonderful job. The fabric you used on your apron is awesome. Such perfect fabric for a little boy. Nice work Abby! Wyatt seems to love it too. Thanks for the tut…I am a beginner sewer. I think I found my first project. Thanks again. I am now a follower. I love that fabric. It is so woodsy and perfect for a little boy. That’s such a good tutorial for the apron. I bookmarked it and hope to make one for the 2 boys & 1 girl grands I have. Thanks so much. So cute! I wish I had a kid to make this for lol! Hi, I love your apron, especially the fabric! I would like to invite you to link up to my new blog party, Masterpiece Monday, at my blog, Boogieboard Cottage. The link will be up until the 9th. I hope you can join in the fun! wow that is so cute! That work apron was really made for male .. thats what i am looking for my baby boy. making use of it for his art works. Hey there! 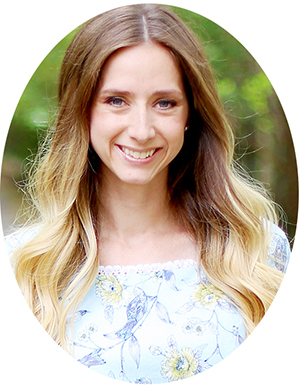 I featured your apron tutorial on my blog today! Thanks for sharing this! I bought me a flirty apron and ever since my 3 year old has been asking me where his apron is.. hehe. So, I cut one of these out today.. now I just have to go buy the bias tape and he will be one happy little man. Thanks! I love this apron! Once I got the bias tape made, it went together so quickly. So quickly, in fact, that I made two! One note for others making it: I found it much easier to sew the bias tape on when I used the walking foot on my sewing machine. It made a huge difference. very easy tutorials. love the fabrics and i’m sure boys loves helping in the kitchen with their moms. Thank You so much for this tutorial. I made two for Christmas gifts for my nieces and took it a step forward and appliqued their names on the pockets. Thank you for the tutorial! I made one for my toddler and made an apron (quite a bit larger) for my husband so Max and Daddy can work in the tool shed together. I can’t wait for them to open their matching aprons tomorrow! Thank you so much for the tutorial! My granddaughters will love the apron! What a great tutorial. Your choice of fabric REALLY sets this apart. Great job! Abby, you are a STAR!! 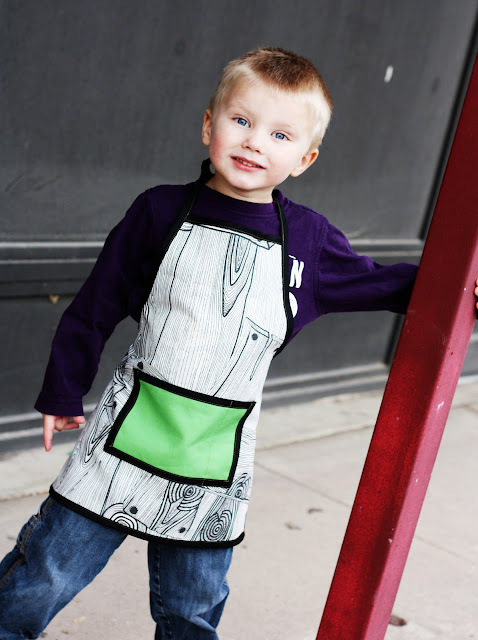 I have searched and searched for children’s apron patterns and just cannot believe how few there are. Finding you has been my saving grace! The apron is very cute! The only thing that was tricky was that there were no instructions for what the finished size is supposed to be. I ended up eyeballing it and think it came out too big for a four year old. Guess he’ll have to grow into it! Thank you! Easy and clear directions. I just finished one for my 6 year old nephew for a Christmas present; I’ll add a little whisk and cookbook and will be all set. Thanks! Much thanks for this pattern and tutorial. My daughter got in a jam for my granddaughter’s birthday party when the company she’d ordered aprons from delivered the wrong item yesterday. I was able to modify your apron with the materials on hand so I could make her nine aprons for the cookie party today. Thanks once again for sharing. 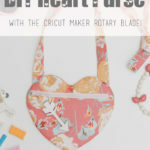 This is a darling apron and a very good tutorial! I did find that the 30″ piece of bias tape should have been about 37″. It would help if this correction was made in the list of materials needed. Anon – Thank you! You are right, I’ll fix that typo :). I use warm water – just comfortably so, not too hot. I do not end up sticky, because honey washes off very well with water. I am trying to get the free kids pattern. would you please email it to me ASAP? Thanks. Hi Barb! I’m not sure why the link was broken, but it should be fixed now :). I also emailed you a link to the pattern. Good luck! Hi Erica! Did you get it to work? I just double checked and it looks like it should be coming up normal, but let me know if you’re still having issues and I can send it to you! Just sent an email invite to the file too, let me know if you don’t get it! I ended up modifying the project slightly so that I could make a reversible apron for my son out of two fat quarters he really liked. Turned out pretty good for my first real sewing project. Thanks for the great instructions!! I love this pattern so much! Thank you for sharing! I made an apron based off this pattern and gave you credit on my blog. 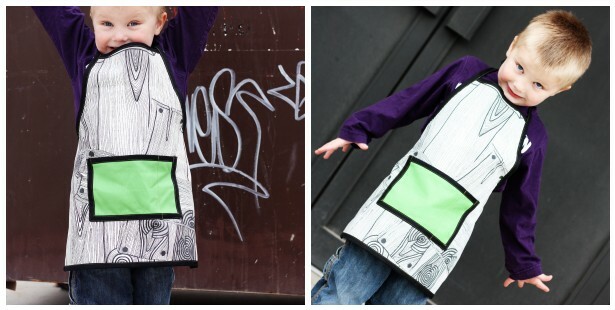 Here is the post: http://silhouettecraftingwithmartha.wordpress.com/2014/11/16/kids-tool-apron/ Thanks again!